The incident took place in Staryy Krym. 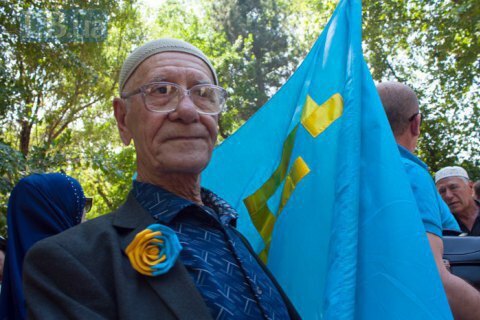 Crimean Tatar activist Server Karametov, 77, died after he was hit by a car in Russia-annexed Crimea, journalist Shevket Namatullayev has said. He added that Karametov died in hospital without regaining consciousness. The journalist recalled that despite his senior age and health problems, the activist hardly missed a single trial of Crimean Tatars by the Russia-controlled authorities. "Last year Server was detained by the occupying police for a one-man protest near the Crimean supreme court which was hearing the case of [deputy head of the Crimean Tatar self-styled government, Majlis] Akhtem Chyyhoz. He was only holding a poster saying 'Crimean Tatars are not terrorists'. He was locked for 10 days for this. Several days later, around a dozen people took to the streets with the same posters. And several days after, around 100 people in various places throughout Crimea were holding the same posters and demanding the end to the persecution of Crimean Tatars," Namatullayev said. Karametov was detained on several occasions. On Day of the Remembrance of Crimean Tatar Genocide Victims, 18 May 2017, Russian law enforcers detained him after he came to a Simferopol square with a Crimean Tatar flag and the portraits of his parents who were deported from Crimea in 1944. Three hours later an administrative offence report was drawn for him and he was released.